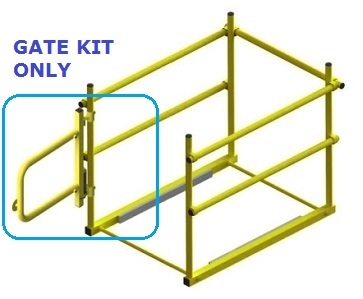 OSHA Safety railing kit for 48x48" roof access hatch, with self closing gate. Fits all design 48x48" hatches. Yellow powder coat finish. Price/kit. (aka HR5656-G2436, SHWC-4848-SHG-2436).